Details: Loaded with their high performance Brass Jacket Hollow Point (BJHP), these rounds deliver massive expansion and deep penetration for ultimate stopping power. Premium nickel plated cases resist corrosion and cycle dependably through extended storage. 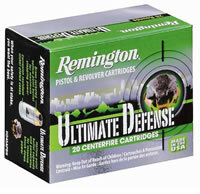 Available in the most popular pistol and revolver calibers.